Oranim International School is offering an exciting summer program for high school students (ages 13 to 17) to learn English in England. Participants make friends from all over the world and study English with top-level teachers of English as a second language. Learning English does not only take place in the classroom. The enrichment program includes plays, touring historical sites, competitions, sports, karaoke, and more. 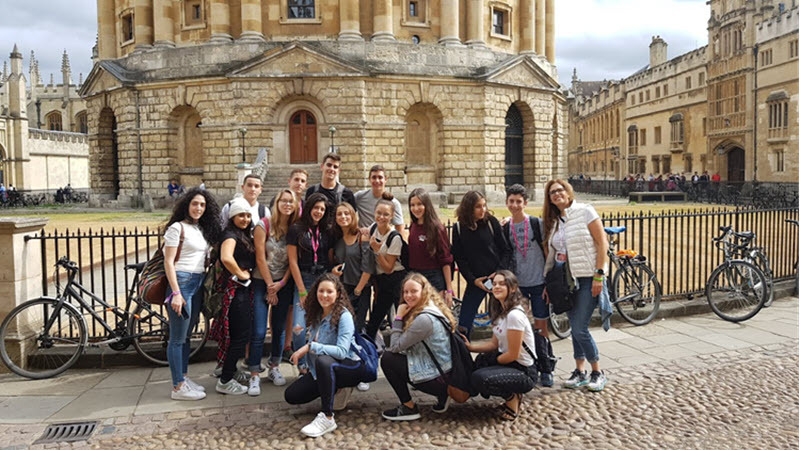 As one student wrote, “Even on field trips, we were together with people from outside of Israel, so that learning the language also occurred outside of classes.” Past field trips included: London; Cardiff and Wales; Bleinheim Palace; Cotswold Park; and Thorpe Park. When students return home to Israel, they have the opportunity to serve as mentors in the Oranim English Club, an afterschool English program that takes place once a week, for two hours each time.